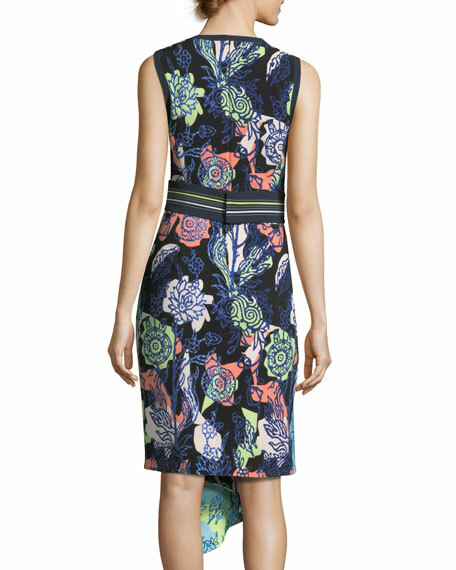 Peter Pilotto dress in mixed floral print. Striped band at natural waist. Asymmetric hem with side ruffle. 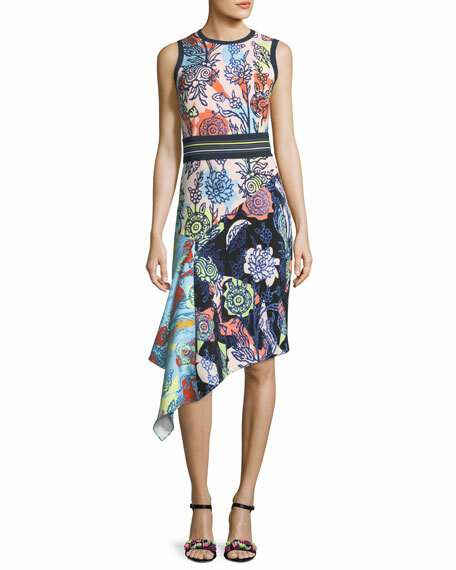 Peter Pilotto and Christopher De Vos answer our 5 Questions. For in-store inquiries, use sku #2360262.